Xiaomi Mi AirDots Earphone Bluetooth Headset Wireless Headphones. Bluetooth mode: Headset. ● 7.2mm dynamic speaker, wider range, more explosive sound. Bluetooth protocol: A2DP,AVRCP,HFP,HSP. Bluetooth Version: V5.0. Get it fast! Get it from Netsoft. New Bluetooth 5.0 Airdots and charging box by Xiaomi. Sleek design. If you have an. Bluetooth mode: Headset. ● 7.2mm dynamic speaker, wider range, more explosive sound. Bluetooth Version: V5.0. Bluetooth protocol: A2DP,AVRCP,HFP,HSP. Connectivity: Wireless. ● Smart touch operation. Material: ABS. ● 7mm neodymium iron boron magnetic titanium-plated diaphragm dynamic ring speaker unit. Bluetooth distance: W/O obstacles 10m. Bluetooth mode: Hands free. Bluetooth protocol: A2DP. Bluetooth Version: V4.2. 100% original xiaomi redmi airdots earphone. of battery life with charging case, One earphone with 40Mah Battery,Charging Box with 300Mah Battery. A New Generation of Bluetooth 5.0, faster and more stable. 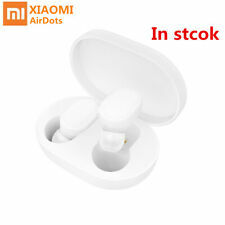 Xiaomi Mi AirDots Earphone Bluetooth Headset Wireless Headphones. Bluetooth mode: Headset. ● 7.2mm dynamic speaker, wider range, more explosive sound. Connectivity: Wireless. Bluetooth Version: V5.0. Bluetooth protocol: A2DP,AVRCP,HFP,HSP. New ListingXiaomi Mi Airdots TWS Bluetooth 5.0 Headset Stereo Earphone Youth Edition Call..
Xiaomi Mi AirDots Earphone Bluetooth Headset Wireless Headphones. Bluetooth mode: Headset. ● 7.2mm dynamic speaker, wider range, more explosive sound. Bluetooth Version: V5.0. Bluetooth protocol: A2DP,AVRCP,HFP,HSP. I7s TWS Mini Wireless Bluetooth Stereo Earbuds With Charging Box. - Bluetooth 4.2. - auto connect to Apple phones. 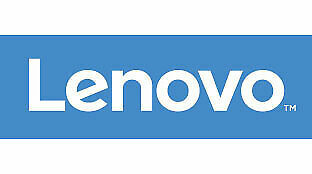 - universal phone compatability. - 30 ft area reach. - active noise reduction. **USA**Xiaomi Airdots Pro Wireless Earphones Bluetooth 4.2 - Trusted USA Seller. Condition is New. Shipped with USPS First Class Package. Color black. Frequency Response 20.000 Hz. Product Type Headset. Impedance 32 Ohms. Sensitivity 88 dB. Acoustic system Closed. Original Xiaomi in-ear hybrid dual driver earphones. 1 x Original Xiaomi Earphones. 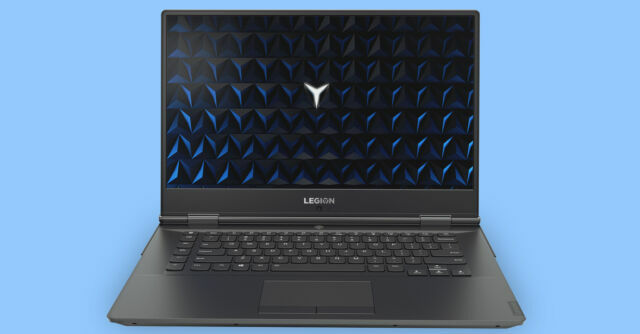 The balanced-armature will be handling on high frequency audio while dynamic driver will handle the low frequency audio thusproviding a more 3D surround effect. Xiaomi Miin-Ear Headphone Pro HD. 1 Xxiaomi headphone pro HD. SOFT AND COMFORTABLE EAR BUDS, SITS PERFECTLY ON THE CONTOURS OF YOUR EAR. Speaker impedance: 32. soft and comfortable ear buds. 1x carry case. New in Box. Actual picture what you see is what you get. This Xiaomi Sport Bluetooth Earphone is in New Condition. Xiaomi makes quality products. 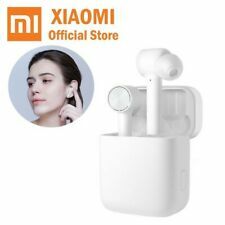 Original Xiaomi Mini Wireless bluetooth Earphone Lightweight Waterproof Headphone Headset with Mic - White. 1 Original Xiaomi Single Earphone. bluetooth 4.1, compatible with the 4G network, CSR chip, improve compatibility, stability and functionality. Xiaomi Mi HiFi Wired Foldable Stereo Headphones - Black Color - 100% Original --- Xiaomi mi HiFi is a Professional stereo headset --- It offers High-fidelity sound quality ---50 mm large size space metal diaphragm --- Foldable design --- Unique sound cavity acoustic structure for reducing the distortion with noise reduction function. --- Built-in HD microphone for phone calls. --- Xiaomi mi HiFi Stereo Earphones offers top-level bass sound with super compatibility, ---Intelligent connectivity, no need to code, plug and play. ---3.5mm plug compatible with any music device using 3.5mm port, including your cellphone, desktop, notebook, player, MP3/MP4, ipad, tablet, etc. --- It's very portable, you can easily fold it . SPECIFICATIONS: Brand : Xiaomi Color : Black & gold Cable Length : 1.4m / 4. 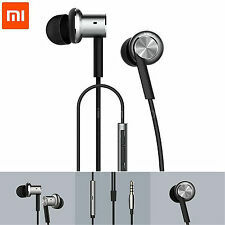 Xiaomi Mi In-Ear Headphones Pro Silver Dual Driver Earbuds with Mic. We've included 3 different ear bud sizes (XS/S/L) so that you can find the perfect fit. High quality silicone is used to prevent skin irritation. Wireless connect:Bluetooth 4.2. Working distance:10m. Horn Impedance：16. Model NumberXiaomi TWS AirDots. StyleHook-type headphones. Bluetooth mode: Headset. Connectivity: Wireless. Bluetooth protocol: A2DP,AVRCP,HFP,HSP. Bluetooth Version: V5.0. Sound channel: Two-channel (stereo). Cable Length (m): 1.4m. This website and the information and material which it contains are subject to change without notice. Product Details. Type: Over-ear. We will deal with your order or enquiry quickly, competently and without any fuss. This is a power brick for Microsoft Xbox One console, auto voltage feature allows the adapter to be usedwidely. Lightweight and compact, easy to carry. Ideal replacement for your original adapter. It is fast-charging, long lasting, durable and sturdy. No more power troubles, no loud noise. Charge and use your Xbox one console conveniently. Note Standby light:Red Working light:Green Product Specifications: Condition: 100%Brand New High Quality and Durable Material: Plastic / Metal . Xiaomi AirDots Bluetooth Earphone. tap twice during a call. for 1 second. press and hold. Refuse incoming call. Answer the call. Calling voice assistant. Avoid the pain of pressing with traditional buttons,and open a new era of touch with you. 1 original xiaomi wireless bluetooth headphone. Foldable portable design, carefully selected music must. 4.1 Bluetooth Technology, Wireless Surprise, Exclusive for Music Lovers. Long life, good sound. 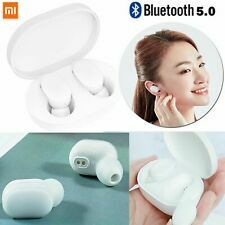 Xiaomi Mi AirDots Earphone. Battery InformationBattery Capacity(mAh): 40mAh Li-ion Battery. Bluetooth mode: Headset. Bluetooth Version: V5.0. Bluetooth protocol: A2DP,AVRCP,HFP,HSP. Connectivity: Wireless. Xiaomi Mi Airdots TWS Bluetooth 5.0 Headset Stereo Earphone Youth Edition Call..